This area is a low-lying plain close to the sea and the arenal beach. It is only 1.2m above sea level, but protected from salt water incursion by the elevated fossilised sand dunes (tosca) which runs along the coast. It is prone to flooding. In the past it was used for agriculture and during the Roman era (and for hundreds of years later) as a salt pan to extract salt from the sea. The Roman channel still exists today as the Sequia de la Noria. The Saladar is one of the last large areas of urbanisable land available in Xàbia. Despite the fact that it is a flood zone, ambitious urban plans have been submitted to develop this area. The Saladar - Zoning under the draft 2008 PGOU shows that the periphery is earmarked for intensive urbanisation, while the centre is zoned as green and sports areas. However a late ammendment to the Consultative Document for the PGOU, voted on in July 2010, designated the Saladar area as non-urbanisable, since it is a flood zone. "La Zona inundable del Saladar con nivel de Riesgo 3 se sitúa en Suelo No Urbanizable"
Approval for this re-classification, must, however must come from the Valencia Government. An ambitious development project promoted for the Saladar area by its 97 land owners has been stopped by a change in the law in Valencia. 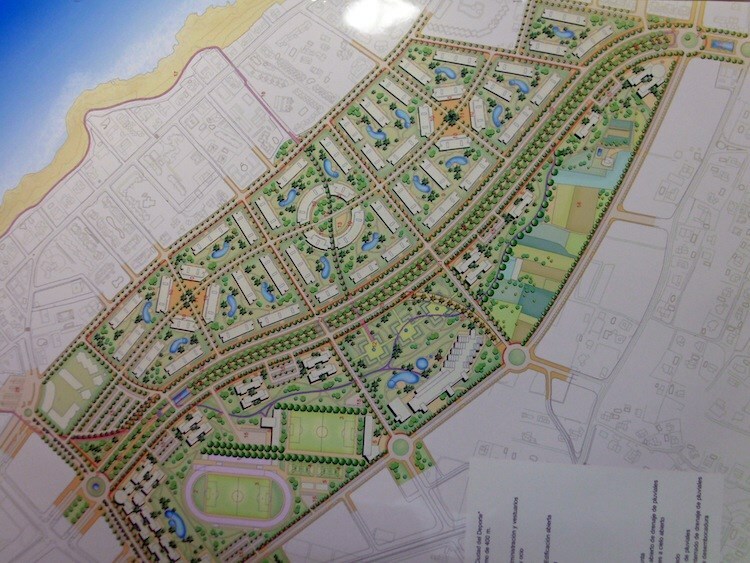 The project, on a flood prone wetland and the last development area along the Xàbia coast, consisted of a thousand houses and two luxury hotels in the creation of a "City of Sport" with finance from a British investment fund. The law of 1993, which only protected properly catalogued wetlands, (hence leaving the others as prey to developers) now covers them all, officially catalogued or not.